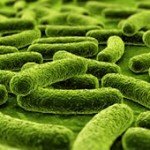 Overall, Renew Life Ultimate Flora Critical Care is a very good probiotic supplement. I like the pure ingredients, allergy friendliness, ease of use, and delayed release formula. This extra-strength probiotic has a generous 50 billion live cells, which makes it great to take for a specific ailment. But is WAY too much to take on a daily basis for an extended amount of time. The capsules are formulated without any unnecessary ingredients or weird add-ins, which makes it very allergy friendly, as well. It’s dairy free, gluten free, nut free, wheat free, and egg free. 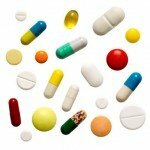 The capsules are a little bigger than average but you only have to take one a day, nice and easy. I like that this probiotic uses a special delayed-release formula that is intended to withstand harsh stomach acid, which can easily destroy the live bacteria in probiotics. This allows the good bacteria to make its way into your intestinal tract so it can go to work. Something to keep in mind for this product is that it’s NOT safe for kids and it’s best if it’s kept refrigerated. My biggest drawback with this product is that it’s very expensive. For almost $22, you only get 14 capsules, which ends up being a short 2-week supply. 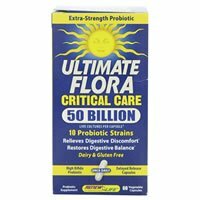 If you can get past the high price tag, I do think that Ultimate Flora Critical Care is an above average probiotic that may be a good choice if you’re treating a specific ailment. The strain profile consists of 50 billion live cells within a 10-strain formula. The 10 strain number is fine, but I think 50 billion CFUs is to high. As mentioned above, you probably would only want to take this supplement for a short amount of time- definitely not everyday. Of note, I really like the use of Bifidobacterium Longum. B. Longum may have a wide range of effects on the human body such as maintaining a healthy gastrointestinal tract, improving lactose intolerance, and strengthening the immune system by helping ward off colds and flus. This strain may also help lessen food allergies and prevent diarrhea in some cases. Interestingly, when applied topically, B. Longum may act as an anti-inflammatory on the skin and make it less sensitive. I also really like the addition of Lactobacillus Plantarum. L. Plantarum has been shown to help with digestive discomfort and gas in patients suffering from Irritable Bowel Syndrome (IBS) and Crohn’s Disease. This strain also may possess antimicrobial properties that suppress harmful pathogens from growing. Some studies have shown that L. Plantarum may be a beneficial supplement for those trying to treat depression or anxiety because it can positively affect the hippocampus of the brain. Ultimate Flora Critical Care does fantastic regarding allergy concerns. The capsules are very pure. This probiotic contains NO wheat, GMOs, gluten, soy, dairy, eggs, shellfish, tree nuts, or artificial ingredients. The other ingredients include a vegetable capsule (vegetable fiber and water) and cellulose. One of the biggest fallbacks to Ultimate Flora Critical Care is the high price tag. For a mere 14 capsules, it costs $21.99. When you break this down, it ends up being $1.57 per day. This is one of the most expensive probiotics I’ve seen on the market so far. At a whopping 50 billion live cells per capsule, I was preparing myself for the worst in regards to potential side effects. To my surprise, I didn’t experience any adverse side effects. I felt great the entire time I was taking the capsules. Keep in mind that probiotics affect people differently and at such a high cell count, definitely be wary of side effects in the first few days. I have to give kudos to Renew Life. 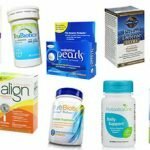 They offer a 60-day money back guarantee if you aren’t 100% satisfied with the probiotic. 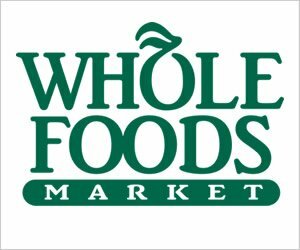 I love probiotics that let you try out their product and return it if you aren’t entirely happy with it. The only thing is that you do have to pay for is the shipping and handling costs. To buy Renew Life Ultimate Flora Critical Care, click here.